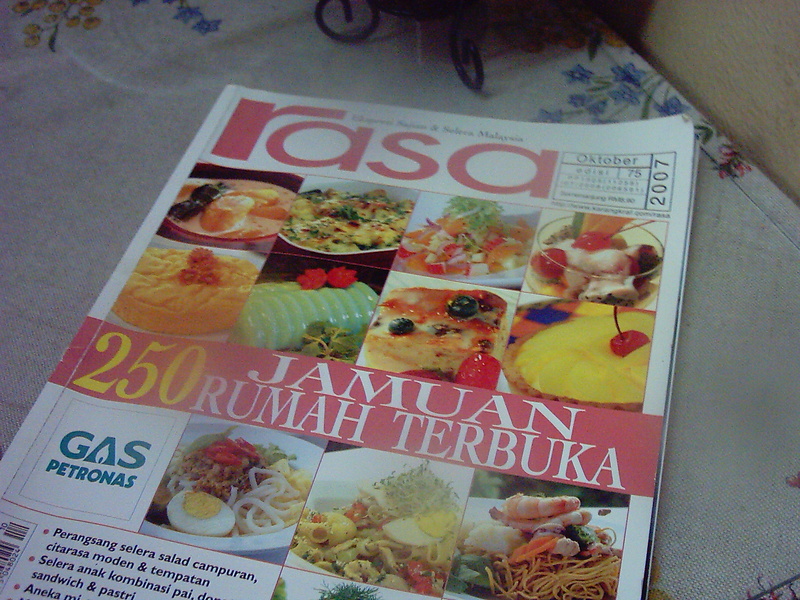 Tried out this recipe from a local monthly magazine ‘RASA’, October 2007 edition. 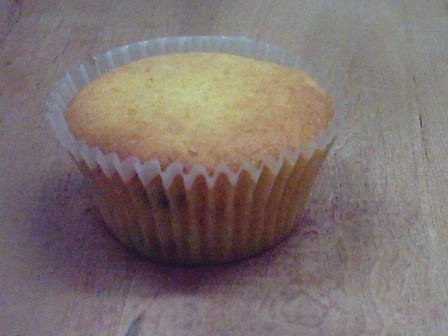 This muffin is very cake-like, soft and moist. But I found it a little bit greasy. But I suppose it’s because I baked it instead of steam it as suggested. Some suggests to substitute margarine or butter with vegetable oil. And also, apart from cutting down some fat (if you plan to), you should not add extra liquid. The pumpkin is already loaded with moisture. Taste-like.. it’s very lovely, a little tangy and I really like biting into the orange rind. 1) Beat margarine and sugar till light and fluffy. 2) Add in eggs, one at a time. Then add in flour and pumpkin. Mix well. 3) Blend in milk, orange rind, prunes and lime juice quickly. Do not overmix. 4) Spoon into muffin cases and steam for 15 minutes. * I had baked this at 175 deg Celcius for, I think, 20 – 25 minutes. * Pumpkin Facts : 90% of pumpkin are water. Read more….